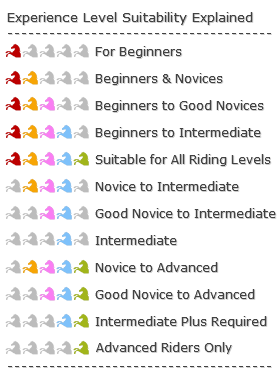 Weight limits restrictions for riders are in place at all of our Horse Riding Holidays centres. This is because the horses there work hard almost every day, week after week, and carrying heavier riders too often could mean they would become overworked and develop physical problems that would prevent them from continuing to work so regularly. The weight limits for each holiday are listed on that holiday’s description page, and the most common weight restriction at our Horse Riding Holidays destinations is 14 stone (89kg/196lbs). Some have a slightly smaller restriction of 13.5 stone (85kg/188lbs), but others can accommodate heavier riders of up to 16 stone (102kg/224lbs) or even 19 stone (120kg/266lbs). These limits may not always be absolutely enforced, however. For example, a heavier rider who is both tall and experienced may ride very ‘lightly’ on the horse’s back, and so could be deemed suitable for a ride at a venue where the usual restriction is slightly less than that person’s actual weight. On the other hand, a beginner or relatively inexperienced rider, more inclined to ‘sit’ on the horse’s back, could effectively be forcing the horse to carry more weight than the person actually weighs. 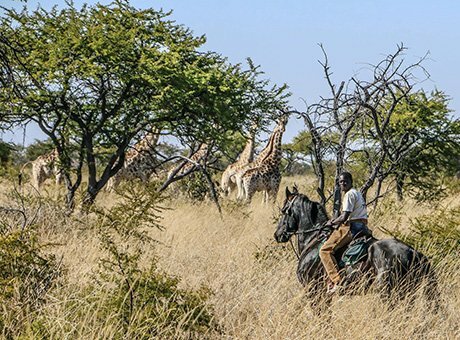 Weight restrictions are in force due to horse welfare considerations, which are taken very seriously by us, our Horse Riding Holidays centres, and we are sure by you too, so we trust you will understand. 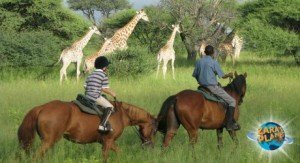 If you do happen to weigh more than the usual 14 stone (89kg/196lbs) limit, we still have a broad range of Horse Riding Holidays to suit – just continue to browse our selection or else contact us for advice. Please inform us of your weight at the time of your booking if you are close to the relevant limit, so that we can ensure a suitable horse is allocated to you. Please also inform us if your weight changes significantly in the time between your booking and your departure date, so that the horse being allocated to you can be changed if necessary.